Life is stranger than fiction, my Grandma “Miss Em” used to say. I’m blessed that I, as the single head of my relatively financially fragile household, am able to travel for non-business-related reasons at least twice a year. In the not so distant future, I’m planning to visit South Africa where, for political reasons, I never visited when I had the financial means and now wish I could visit although I no longer have the means. In the near future, I plan to revisit Barcelona, a Compassionate City that I truly love. These days, I visit my relatives in Markham, outside of Toronto, Canada. It’s wonderful being there, learning about the stark and nuanced differences between Canadians and Americans. I visit family and friends in Mexico, to soak up the Caribbean and Mayan cultures of the South Coast and to learn a little more Spanish. And annually, I visit family and friends at home, in Jamaica. In addition to Kingston, where my family lives, I visit the touristy North Coast and the quiet South Coast. I love being home. Twenty-five years ago, when my daughter was born in New York, my late spouse and I made the commitment to raise our daughter in an environment far more liberal than that of our beloved Jamaican homeland. Our commitment to live abroad has much to do with the homophobic realities of Jamaica, my country. Mark and I wanted to raise our child to the best of our ability. We compared the differences in our upbringings. We compared our respective aspirational parenting styles. Having dear friends of diverse sexual orientations, we asked each other, “Suppose she were gay…?” I’m proud to note that we jointly took a critical stand. Our daughter would not be raised in Jamaica. We made this decision with our eyes wide open, knowing that life at home would have afforded us comforts that were not ours in the United States. Today, I reflect on the circuitous route that I have navigated and still stand firm in this belief. My religious path could also not have been realized at home. We have no Unitarian Universalist congregations in Jamaica. Perhaps that will be my ministry in “post-career activism” – a phrase I first heard a few Sundays ago – used by Dr. Leonore Tiefer, my friend of many years at my congregation, the Community Church of New York. Perhaps, I ask myself, I need to better understand what it is that calls or stops calling Unitarian Universalist folks such as myself who live at the margins in terms of culture, race and ethnicity; ability; or diversity of gender expression and sexual orientation. As I question my own desire to be of this faith and to work for this faith, I await the responses of a cloud of witnesses responding to the Multicultural Ministries Sharing Project. These responses will be critical in helping us learn of and appreciate needs of folks such as me who live at the margins of identity within the dominant landscape of Unitarian Universalist cultural norms. 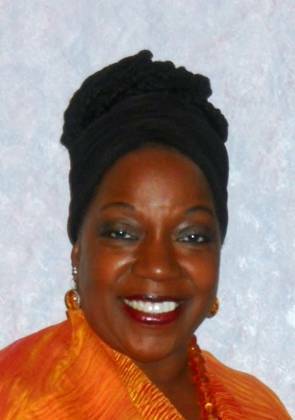 The Multicultural Ministries Sharing Project is a groundbreaking project to seek insight into the experiences of Unitarian Universalists who are people of color, LGBTQ, people with disabilities, or otherwise marginalized around ability, sexual orientation, gender identity/expression, and/or race/ethnicity. Learn more! 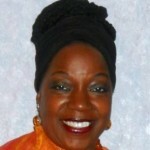 Janice Marie Johnson is the Multicultural Ministries and Leadership Director of the Unitarian Universalist Association. Janice really believes in building Beloved Community, everywhere, all over the world. She is ready and willing to do the hard work of developing relationships all over the world: Barcelona, Bangkok, Cape Town, Rio, Anse Boileau, San Francisco, Berlin, Bali, Milan, Mecca, Playa, …. Well, you get the idea!